SE South East London Move out and End of Tenancy Cleaners | Quality Property Care Ltd.
You are changing your accomodation pretty soon, and you are very worried about having your deposit back from your property manager? Quality Property Care Ltd. offers a professional end of tenancy cleaning service both for home and commercial end of tenancy cleaning needs in South East London SE. The expert cleaning squads work according to an approved checklist of cleaning tasks, and will certainly clean until every single spot is completed. 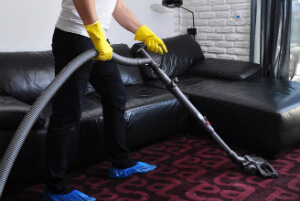 The end of tenancy cleaning company is so certain of the high quality of its services and the reliability of its cleaners, that the service has a forty-eight hours guarantee. If the client or landlord finds a little something that is not washed perfectly, the cleaners will execute a second absolutely free cleaning. The end of tenancy cleaning price is affordable and the service provided is worth every cent. Call our client assistance service or fill in an online inquiry and you will receive a quick quote for the professional end of tenancy service provided. Kitchen equipment like microwaves, stoves, toasters and so on are cleaned thoroughly as well, each carried out carefully and with intention to do a fine job. The range is cleaned out, degreased with its stove, hob and barbeque grill property handled, the grill pan and oven racks are cleaned, the inner top of the oven gets a specific treatment, the rubber seal is easily wiped and cleaned out and we move the oven to clean behind it if required. The microwave is leaned within and out, and also on the top, any chemical compounds used to clean and eliminate food residue is wiped away and completely washed, the rubber seal is inspected and the stove is clean on top and under. We won’t neglect even the tiniest of details, your toaster is cleaned from any leftover crumbs, its wiped clean if needed. That service is suitable for tenants moving out, for landlords organizing a location for a tenant, property managers clearing out a space or people who are buying or selling a their home. We work hand in hand with our clients to ensure their full satisfaction; our cleaning teams do not leave your home right up until we have fully finished the job. All of our projects are guided by a plan developed or approved by our clientele, in order to make certain that every little thing is up to their standards. Using professional gear we can guarantee that all areas and spots in the residence are spotless, beginning with a more general sweep of the house then focusing on particular areas like kitchens, cupboards, bathrooms, living rooms and so forth. Hurry up to make a rapid appointment for our flexible end of tenancy cleaning company South East London SE services! Quality Property Care Ltd. is ready for your end of tenancy cleaning requests. Have a free quote right now or ask for additional details! Dial this 020 3746 4287 phone number or the internet booking form and reserve our end of tenancy cleaning service in South East London SE at small fraction of the cost today!